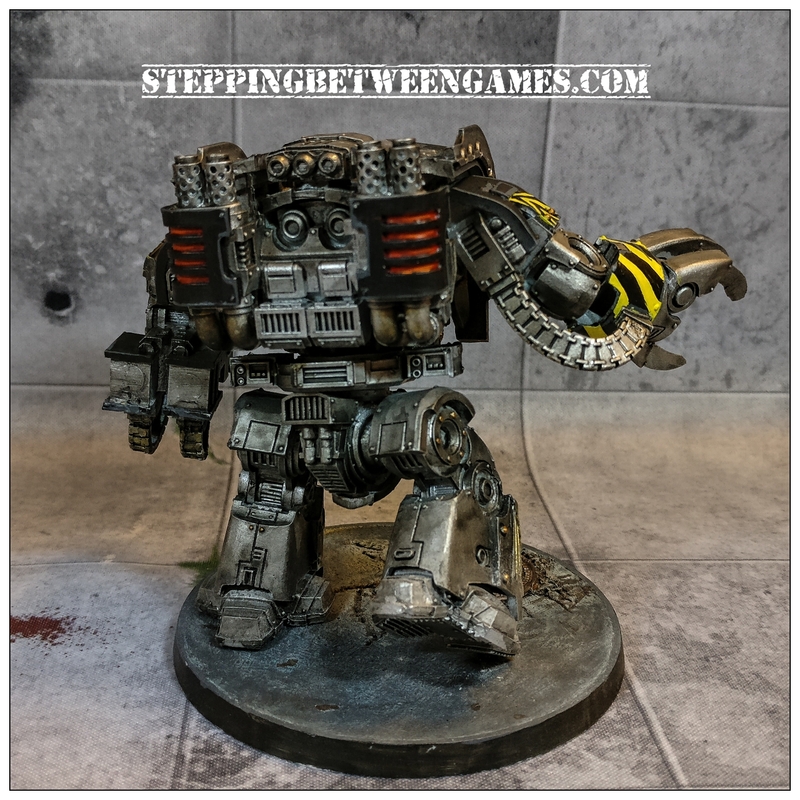 Iron Warriors Leviathan – Finished! 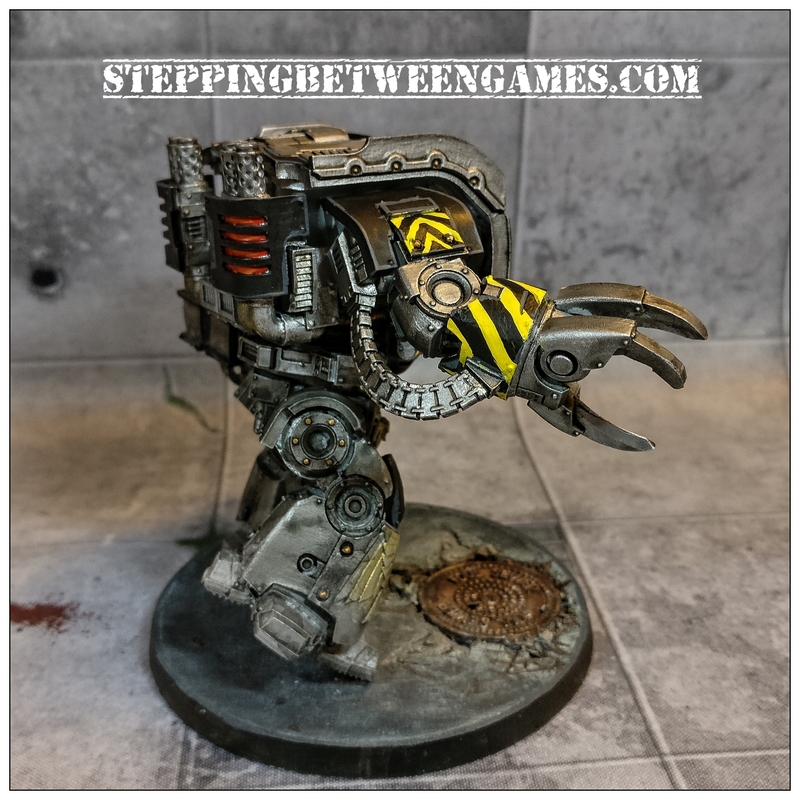 After far too long pondering paint schemes my Iron Warriors Leviathan is finished. Another tool in the arsenal of Warsmith Curax The Butcher. 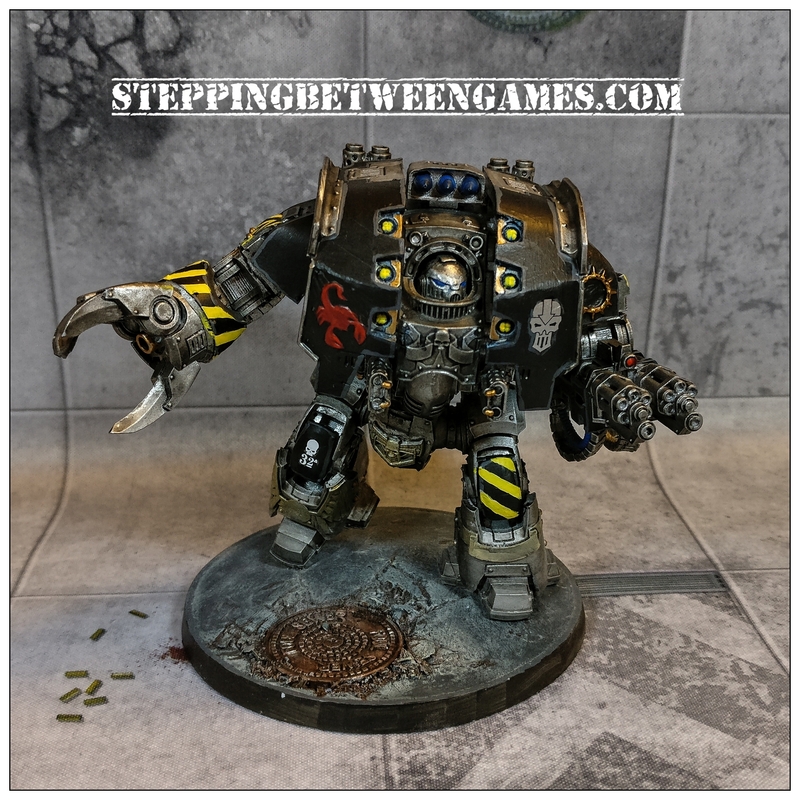 I have always been a fan of giant stompy robots, anyone who has seen my Knights will understand that, the latest one a Knight Gallant is seen here in Dreadtober. 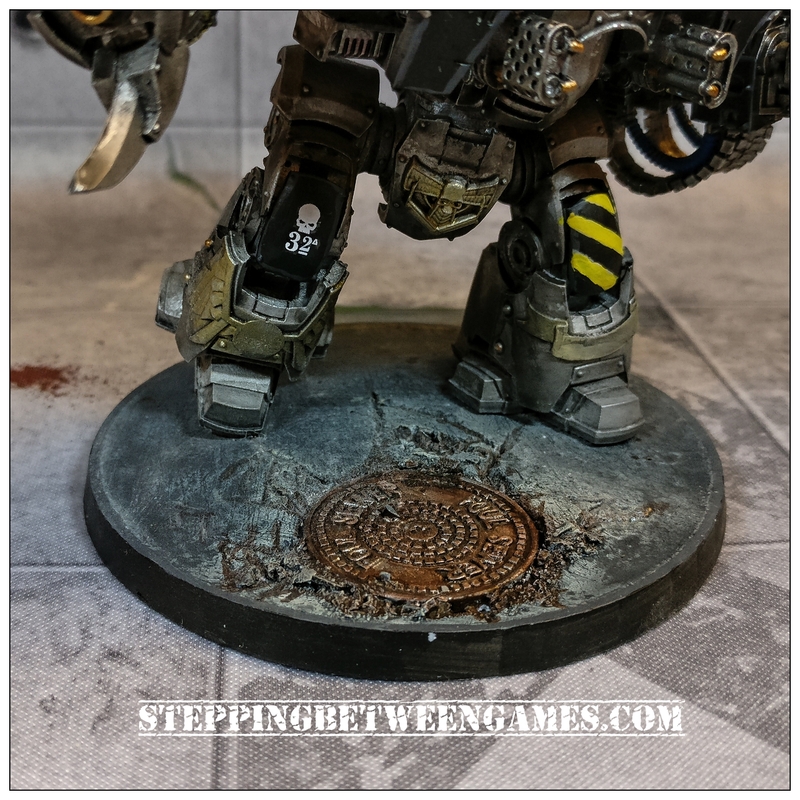 This is all part of my ground pounding Iron Warriors force. When I first previewed this picture on Reddit, Twitter and Instagram some people wondered about the lack of hazard stripes. So I fixed that in what I hoped were suitable places. I kept one of the scorpions from the original Cullen model to work as some heraldry. It would be easy to keep the majority of the model metal but I wanted to add some colour in. The blue cables, hazard stripes and black sections. For the back vents I tried to do some wet blending, didn’t work out so well though. I will have to have a rethink and give it another run. The base is a piece from Secret Weapon Miniatures, part of the Urban Streets line they do. 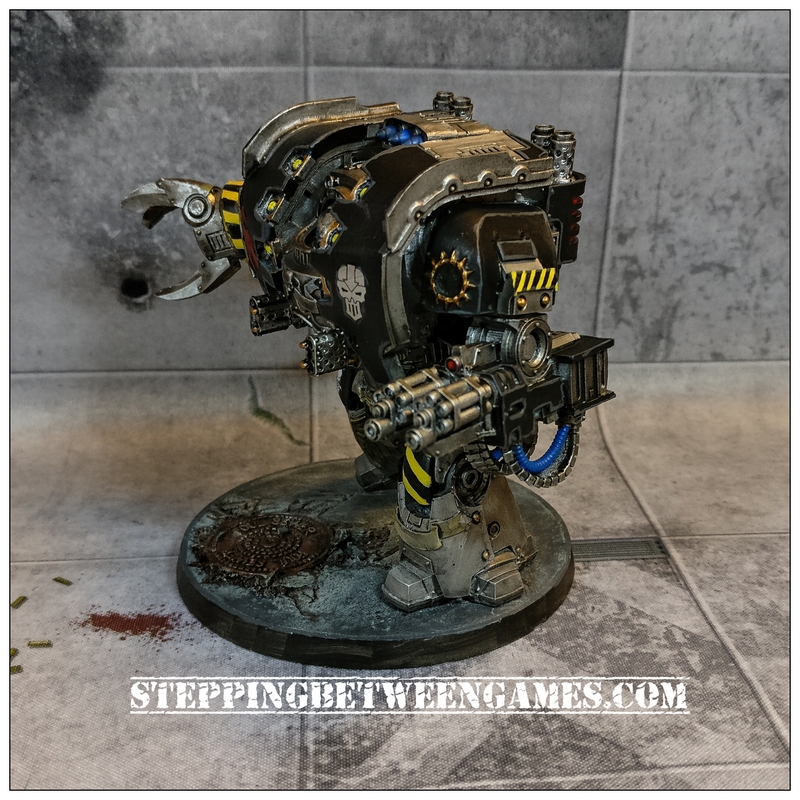 I have gotten some of the 40mm bases in the same line for some terminators I have coming up.